Late Pariyanampatta Divakaran was born on 10th May 1954 in Pariyanampatta Mana in Peringannur, Palakkad District. His father Pariyanampatta Kunchunni Namboothiripad was a famous artist, drama and film actor and magician who was a disciple of famous magician Prof. Vazhakunnam. Divakaran's mother was Sreedevi Antharjanam. He joined Peroor Gandhi Seva Sadanam at the age of twelve and learned Kathakali for eight years. His first performance was on the third year of his studies. After the course at Gandhi Seva Sadanam he learned Kathakali from Kerala Kalamandalam for three years. Then specialised in 'Thadi' characters from K.R. 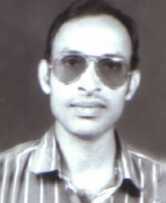 Kumaran Nair of Peroor Gandhi Seva Sadanam. He practised under many famous teachers namely, Kizhpadam Kumaran Nair, Kalamandalam K.G.Vasudevan, V.P.Ramakrishnan Nair, Sadanam Balakrishnan, Sadanam Krishnankutty, and Sadanam Ramankutty of Sadanam and Kalamandalam Padmanabhan Nair, Kalamandalam Gopi and Vazhenkada Vijayan of Kerala Kalamandalam. Had expertised in 'Thadi', 'Kari', 'Minukku', and 'Kathi' characters. 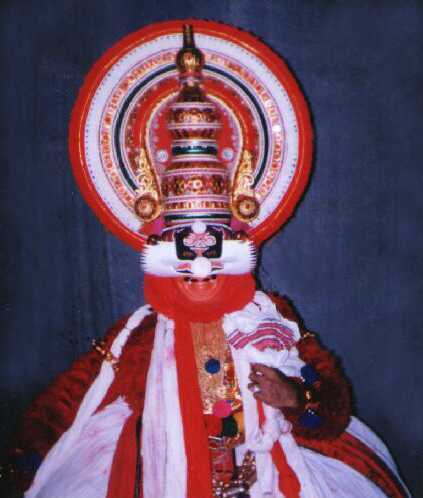 Had performed kathakali in many stages in foreign countries like Italy, Poland, London, France etc. Family: Wife Mrs. Usha worked as teacher, son Sreejesh and daughter Sreesha.